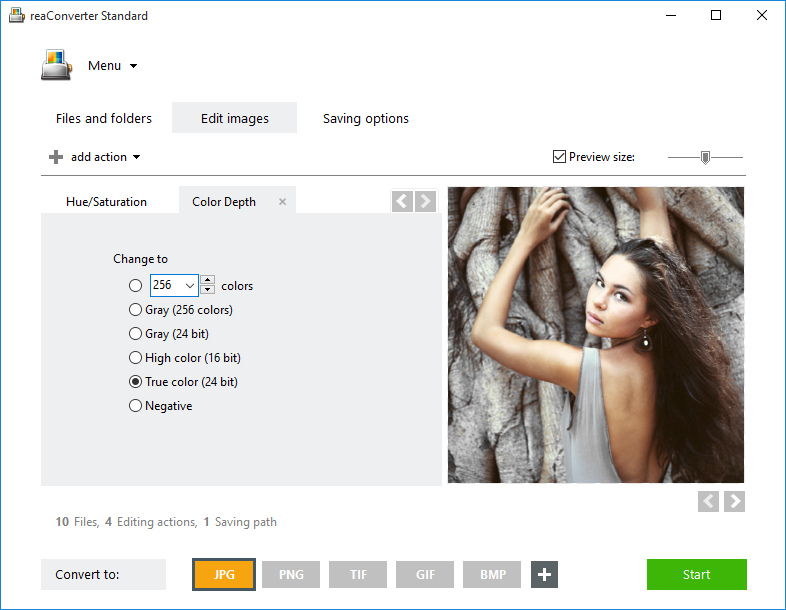 There is a quick and easy solution for solving all the problems above, while at the same time being able to edit your RAF images any way you like: use a powerful converter! I personally recommend reaConverter that can be downloaded and tried for free at reaconverter.com. Whether you are a professional photographer or just an amateur learning the tricks of the trade, this software will be everything you need for handling your RAF images, as well as several other RAW formats, such as ORF or ARW (see the full list of RAW formats supported by reaConverter). 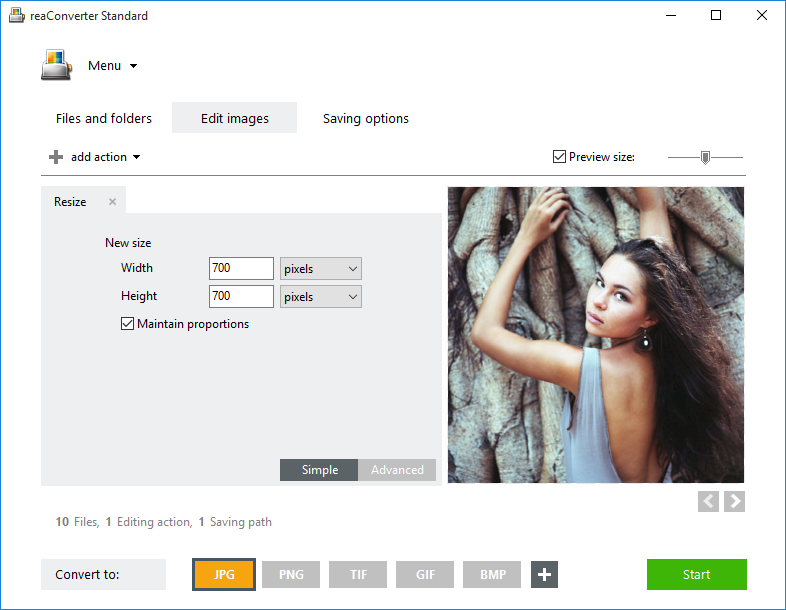 Rotate, Crop or Resize photos. Adjust the RGB, or correct the amount of Red, Green and Blue in the image. Adjust the HLS balance (Hue / Luminance / Saturation). This allows you to fine-tune the colours in the image, correct their clarity and tones. Edit the Colour Resolution. You can opt for a smaller or a larger number of colours, depending on the size you want your photo to have. Apply Watermarking. This will help you make sure the image will not be used by someone else without your permission. 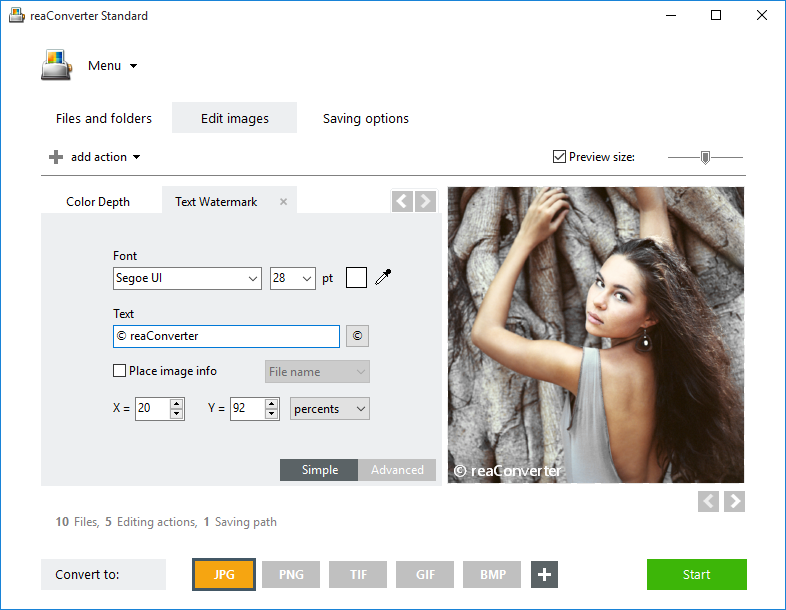 The watermark is a text or an image that will appear on all converted photos, with a customizable size, position and transparency. ReaConverter is a great software for efficiently managing a large amount of pictures, on a frequent basis. However, if you are planning to convert only a few RAF photos and only once in a while, then you can also try fast online photo converter IMVERTER.com.